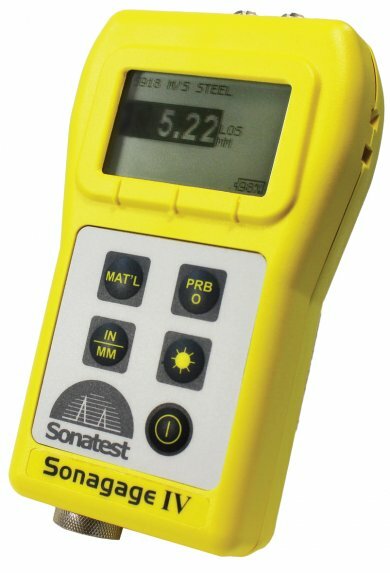 The Sonagage IV is ideal for the operator that tests a few different materials regularly and contains 8 velocities of common materials and two velocities that the user can set using a simple software program. indicator Transducer Attendant - Automatically informs the operator to replace the transducer. (Patent pending).